A new gaming keypad is out by Razer who is known for some real sleak gadgetry. 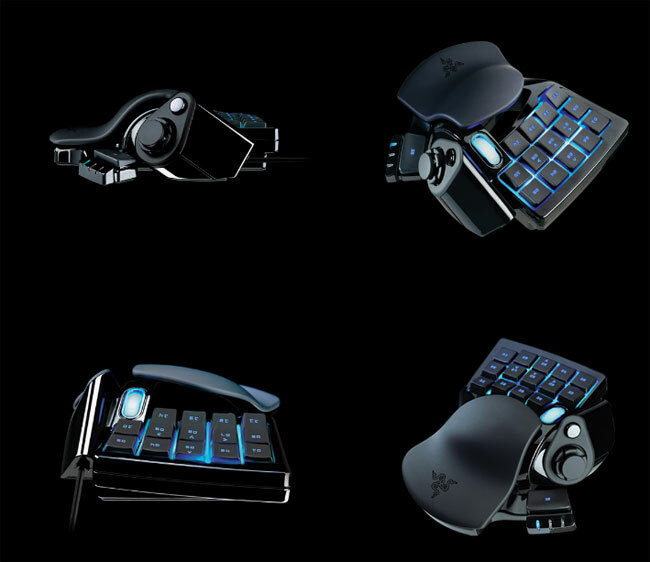 The new keypad called the Razer Nostromo, made by Razer in cooperation with Belkin. The new keypad does resemble the older Belkin Nostromo. The blue back lighting has 16 programmable buttons. These 16 buttons can all be customized for single key presses and macros. The good thing about this keypad is that the macros allow you to have as many characters as you want. There is a D-Pad that is near the thumb which can be used for directional control or other commands. Not just this, the Razor Nostromo can store up to 20 different profiles for different games while also letting the gamer switch profiles on the fly! Its designed for long gaming hours and comes with the software required to do the necessary programming. Razor will begin shipping the Razor Nostromo on November 29th for $69.99. Next Xbox 360 to be 2010’s Best Selling Console!